This is Cool Tool Tuesday – and here’s a real little gem of a cool tool! The person who sold this to me believed it to be a shoe or foot sizing gauge – but that did not ring true for me from my first sight of it, because of its diminutive size. It is made from boxwood and brass, and while well constructed if fine materials, it does not quite have the solidity and indefinable ‘presence’ that is possessed by the best of tools. Some of the text is not perfectly aligned, the hinges are one spline short of rock solid, and the slider is made of brass that is just ever so slightly too light a gauge. None of this reduced its beauty to my eyes, but it did add to the mystery. A consultation with my Instagram friend Dan @thedancherry (the guy I turn to when I’m stumped on a rule or measure), who after some diligent research in his vast library of actual reference books (still unbeatable, despite Google’s best efforts), he identified it as a Glover’s Hand Gauge. With that start point, I was able to track down its inventor – one John Samuel White (hence the JSW) of Aylesbury, England, and the patent – number 29,036, issued October 5, 1911. On the patent application, Mr. White gives his occupation as ‘Commercial Traveller’ which is the posh English for a traveling salesman – something he had in common with Mr Samuel Norvell from yesterday’s post. 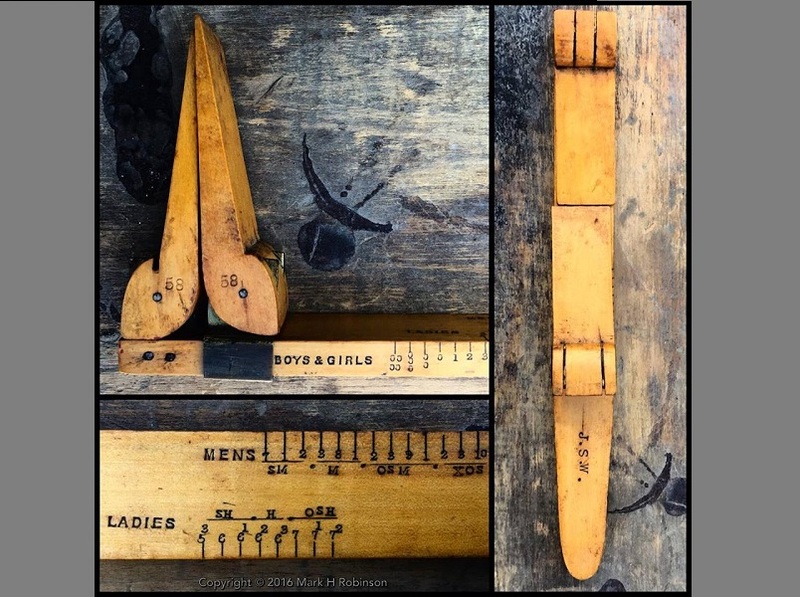 I found some reference to suggest he was inspired by the wooden sliding shoe and foot sizing gauges then in common use (of which there are many in my collection), but could find nothing more about him or this cool tool. Who made them for him? How long were they made for? Did he sell them himself, as he traveled, or did he wholesale them? 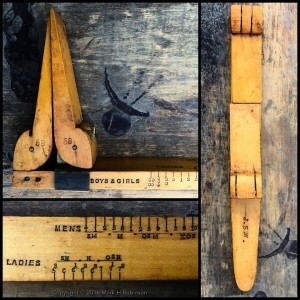 Many questions, but I suspect there will never be answers… But one thing is for sure, which is that this little gauge is a rare leftover from the age of custom tailoring, and an historical artifact worthy of preservation.